Toledo is the forth-largest city in the U.S. state of Ohio and is the county seat of Lucas County. 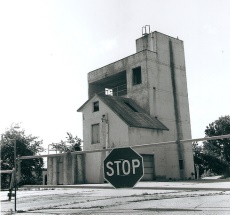 The city straddles the Maumee River at its mouth at the southern end of Maumee Bay, the westernmost inlet of Lake Erie, and has a population of 287,208. 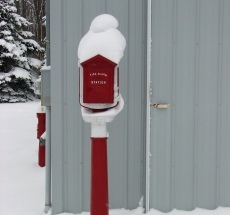 Help Needed If you are a firefighter in the Toledo Fire Department, we need your help to verify the station information shown below is current and correct. 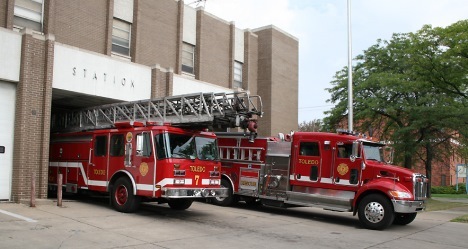 The Toledo Fire Department - has 17 fire stations located strategically throughout the city staffed by over 475 firefighters. In addition to responding to fires, all Toledo firefighters are trained Emergency Medical Technicians with 135 also being certified paramedics. 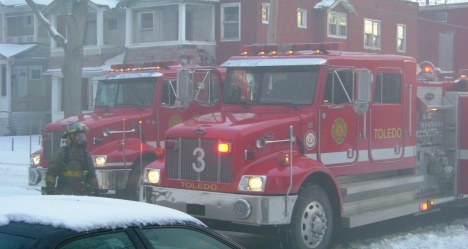 Each year the Toledo Fire Department responds to over 50,000 emergency incidents. 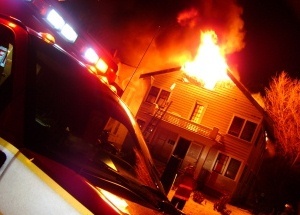 These runs include fire, hazardous materials incidents, water rescue, confined space rescue, and homeland security. Field Operations personnel are deployed under a "platoon" system. This system consists of three platoons - A, B, and C. A member assigned to a platoon works 24 hours on-duty and is off-duty for 48 hours. The platoon is divided into three Battalions - 1, 2, and 3. 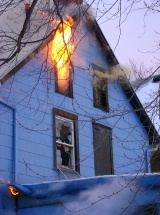 Each Battalion is supervised by a Battalion Chief. Additionally, the Senior Battalion Chief is responsible for citywide staffing and activities. 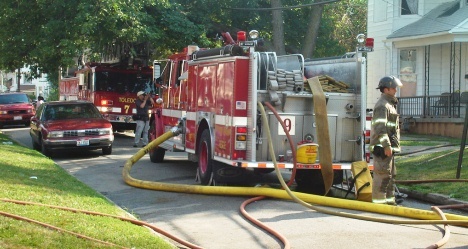 General responsibility for each engine, heavy squad and truck company lies with either a Fire Lieutenant or Captain. 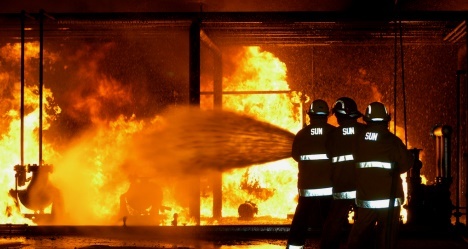 Along with emergency work, company responsibilities include building and district programs, training, familiarization, and general maintenance of fire station grounds, structures, emergency apparatus, and equipment. 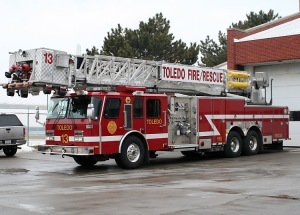 Toledo Fire Paramedics are firefighter/paramedics who staff Lucas County Life Squads and advanced life support equipment is provided by Lucas County through tax dollars generated from the Lucas County residents. 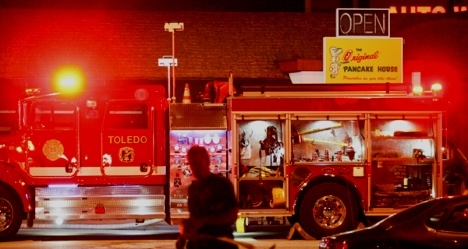 One of the goals of Toledo Fire and Rescue is to provide the citizens of Toledo with rapid intervention in medical emergencies. 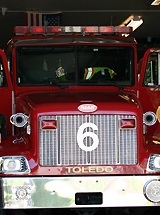 Toledo Fire and Rescue has seven ALS (Advanced Life Support) engines located throughout the city. Their mission is to reach the patient and begin advanced life support until the arrival of transport units. 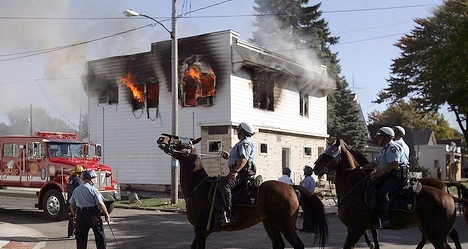 The minimum daily staffing level is 103 Firefighters and Officers. The City is protected by 17 fire stations, which utilize 4 trucks and 17 engines, 5 ALS units, 2 heavy squads, and various other specialty emergency apparatus.